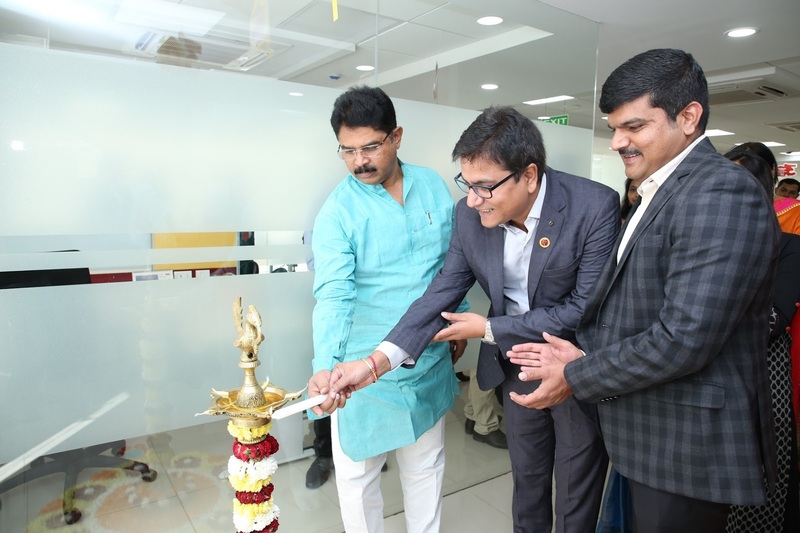 PNB Housing Finance, the country’s fifth-largest housing finance company, inaugurated a state-of-the-art hub at Malleshwaram in Bangalore, taking the total number of branches and hubs in South India to 33. The new hub, located on 15th Cross, Malleshwaram, was inaugurated by R. Ashok, former Deputy Chief Minister, in the presence of the zonal credit manager of PNB Housing- Manas Mahapatra and Vinod Reddy, Zonal Business Head- South. Nearly 30 per cent of the company’s retail home loan business comes from the South. Bangalore alone contributes close to 47 per cent of the business, making it one of the most important revenue generating regions for the company. “The expansion is a part of our ongoing strategy to increase operations, grow our customer base, boost profitability and strengthen our presence in South India.”, Mr. Varghese added. PNB Housing Finance has a total of 78 branches across 47 towns and cities. In H1 2017-18, the company sanctioned Rs 25,452 crore worth of loans with total disbursements of over Rs 15,000 crore. In the current fiscal, PNB Housing Finance plans to open 23 new branches across the country. A majority of these will be located in western and southern regions.